Before all the Christmas festivities began, there was time, and sun, and the opportunity to get on the bike. 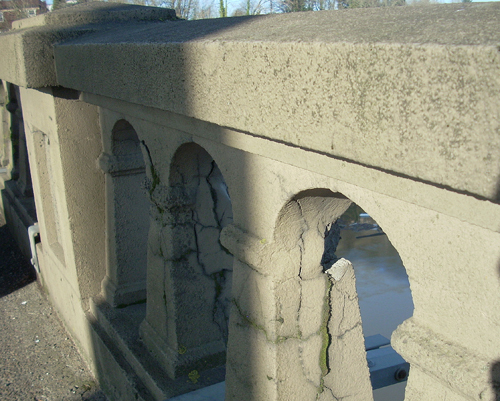 So I decided to ride out over the bridge to take a closer look at some of the issues before work began. 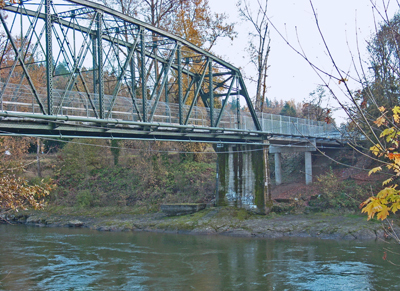 The planned January closing date has been pushed back to allow time for more study, but I was also anxious to see the progress made to the walkway along the river in Oregon City. 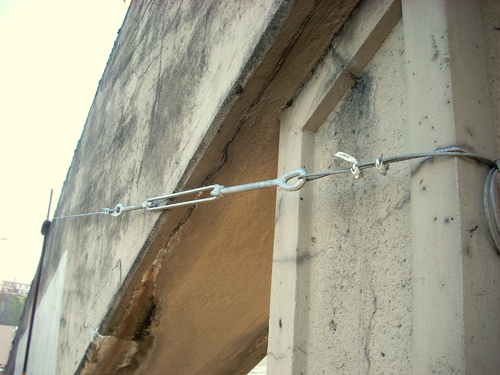 Most all the walkway railings are cracked. In many places the concrete is just gone. 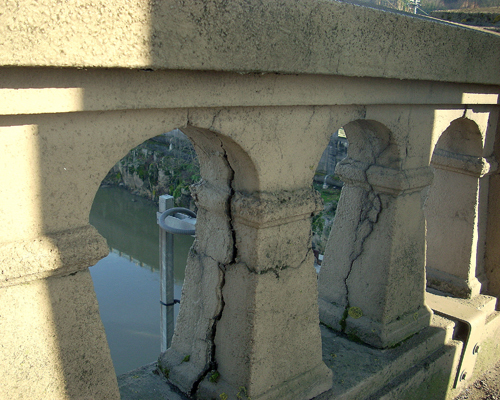 There is cabling stretched around some of the pillars. 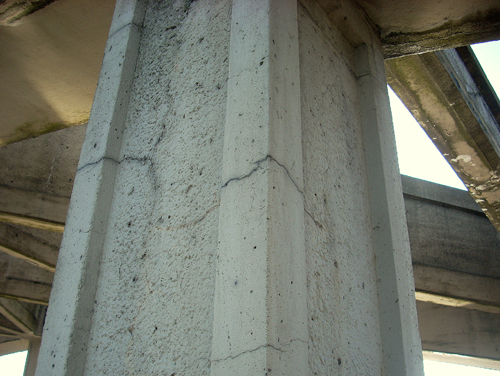 All the pillars and arches have cracks in the concrete. This is actually just the covering over the underlying steel, so it may not be as dangerous as it first appears, but still….. 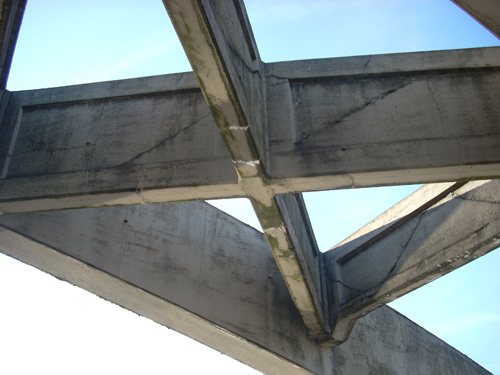 The bridge is tired, worn and dirty but it remains a visually pleasing structure. On closer look you can see that work to gain access has begun underneath. 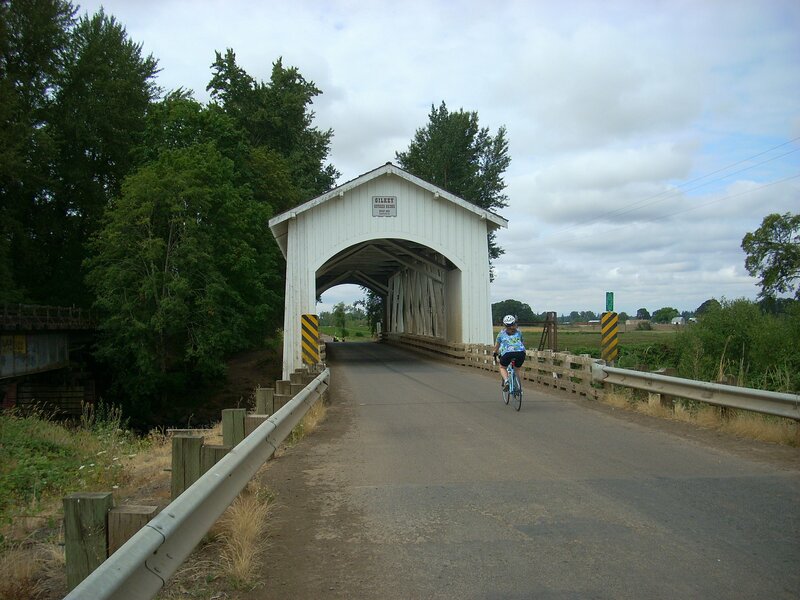 This entry was posted in I just don't fit in..., Spanning the Bridges on December 25, 2009 by golinielcomblog. This entry was posted in Bicycling & Fitness, Spanning the Bridges on August 10, 2009 by golinielcomblog. New designs have been released for the I-5 bridge, to include wind turbines that could be used to supply the power needs of the bridge itself. Thats a cool idea in theory. 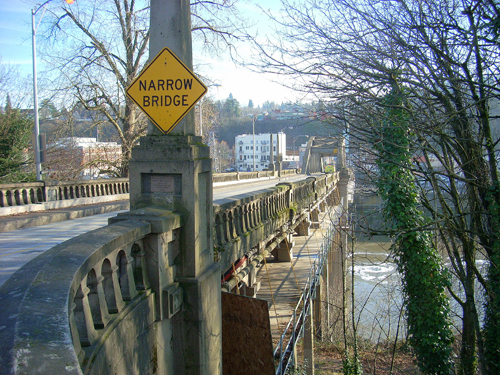 I hope its not a cost & maintenance nightmare in reality.Â What I do like is the idea of a toll to use the bridge.Â Washington residents should pay for the priviledge of using the jobs and resources of our state so that they can pay less for property taxes. 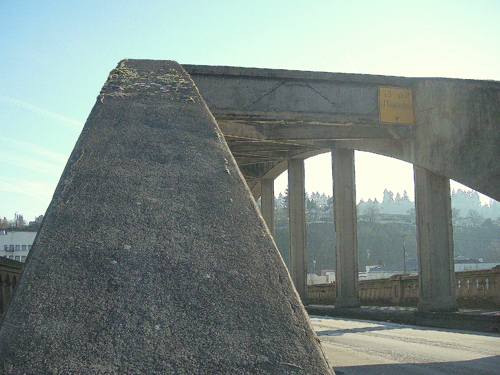 PORTLAND — A new green design proposal for the Interstate-5 Bridge has generated a lot of buzz. Florida architectural firm Touchstone Architecture unveiled a bridge design with vertical, spinning wind turbines. 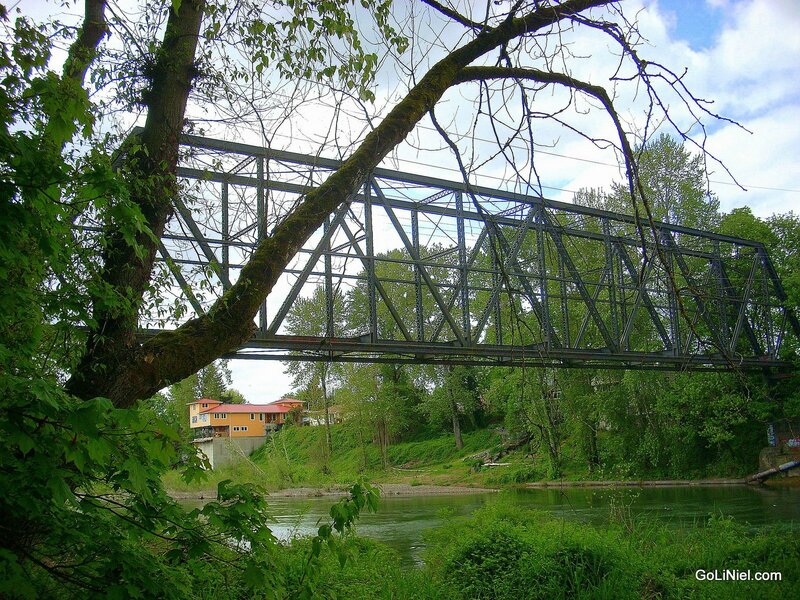 The firm said this bridge would showcase this region’s leadership in sustainability. 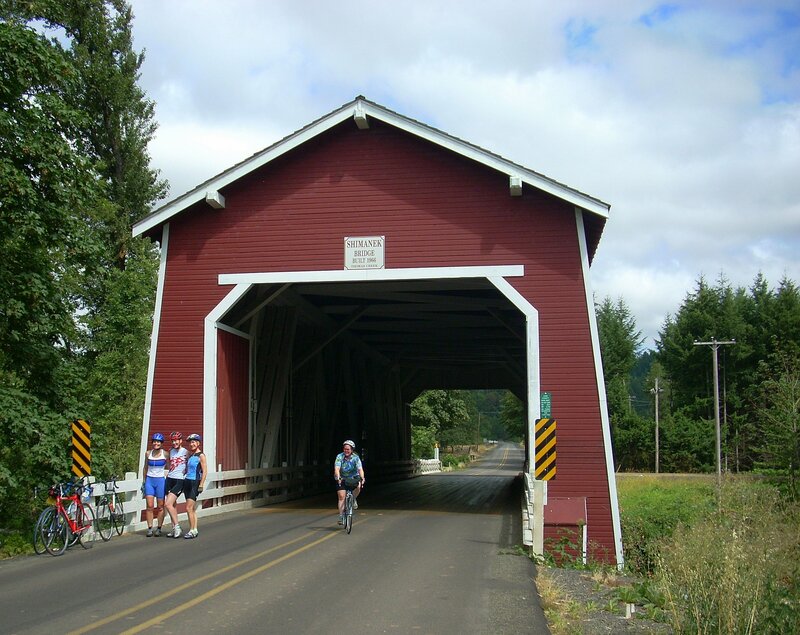 The goal was to take advantage of the wind coming through the Columbia River Gorge and help ease traffic on the I-5 bridge. What was unclear was how much electricity could be generated and what it would be used for. There was talk of possibly providing electricity for the toll booths and/or the bridge lights. Also, there was discussion about whether a new bridge should include 12 lanes and extend light rail to Vancouver. The cost for this new design was undetermined at this time. Some opponents disagreed these wind turbines would make the bridge sustainable. 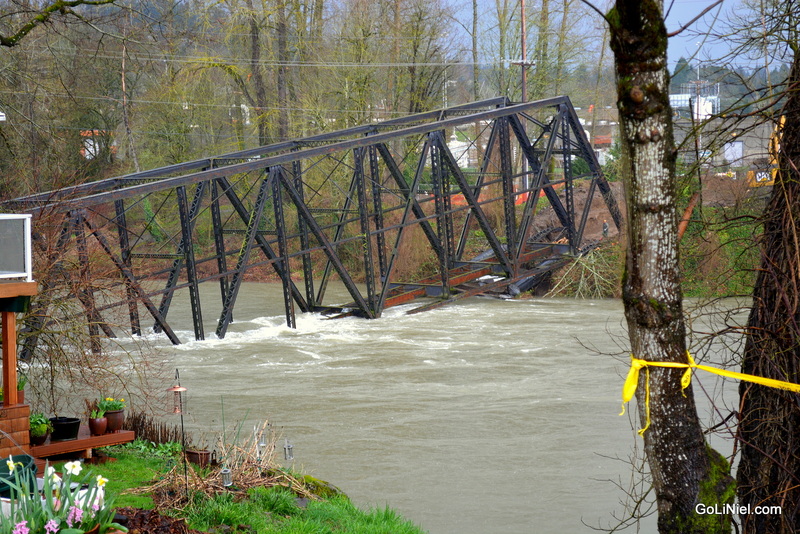 They told The Oregonian newspaper that they were also concerned about safety and the cost. Most policy-makers said a toll is necessary to help pay for for construction. 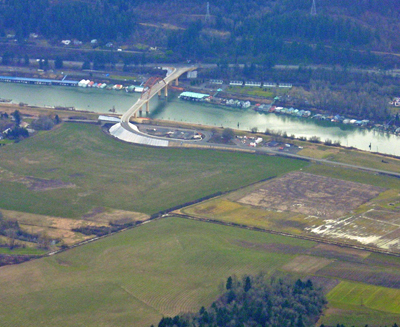 Oregon and Washington lawmakers planned to ask Congress to help foot part of the $4 billion bridge that would replace the I-5 bridge. 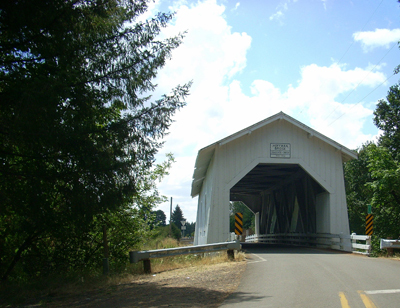 This entry was posted in Spanning the Bridges on January 14, 2009 by golinielcomblog. 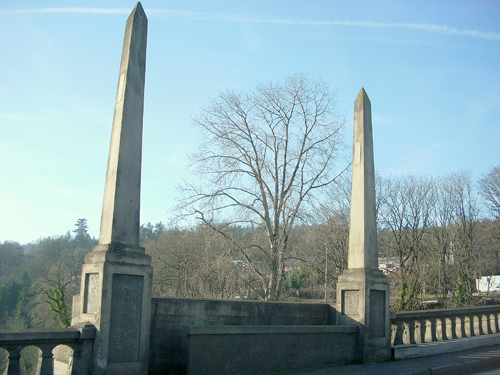 Whatâ€™s the latest update on the Sellwood Bridge Project? 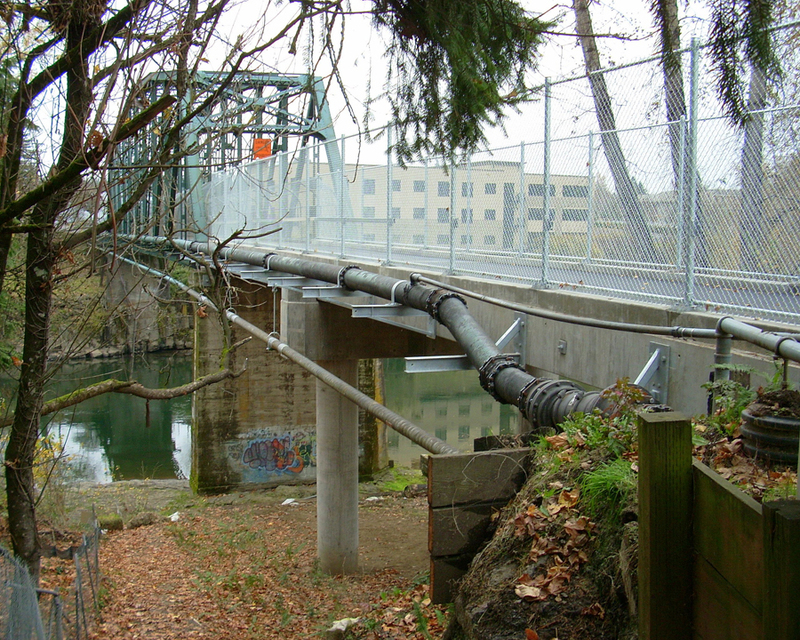 The Sellwood Bridge Project team has been very busy these past few months preparing the draft Environmental Impact Statement (draft EIS). The five alternatives under consideration have been analyzed to determine their impacts in a broad range of environmental categories. The alternatives also have been compared against maintaining the bridge as it is with repairs to keep it in use for 20 more years (the â€œNo Buildâ€ alternative). The draft EIS is currently being reviewed by the participating agencies. After agency review, the draft EIS will go to the Federal Highway Administration (FHWA) for their review. The document will then be made available to the public this fall and there will be plenty of opportunity for public discussion about the alternatives and their impacts. Another round of public outreach will occur at that time, including another newsletter, open house, online survey, and a public hearing on the draft EIS. A public comment period will accompany the release of the document. All public comments about the document received at that time will become part of the official record and will be responded to in the final EIS. The Community Task Force and Policy Advisory Group will then consider the public comments before recommending a preferred alternative. This recommendation is expected to be made by the end of this year. 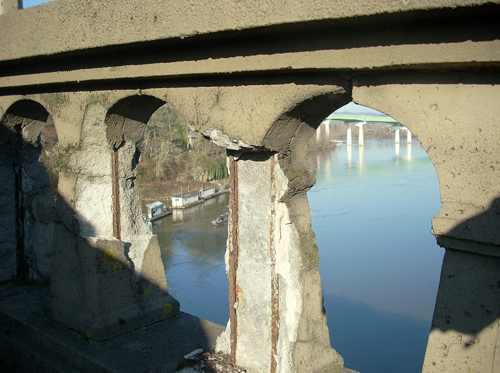 The recommended alternative will be submitted for approval to the Multnomah County Commission, Portland City Council, and the Metro Council. After those approvals, the selected alternative will be forwarded for final approval to the FHWA. 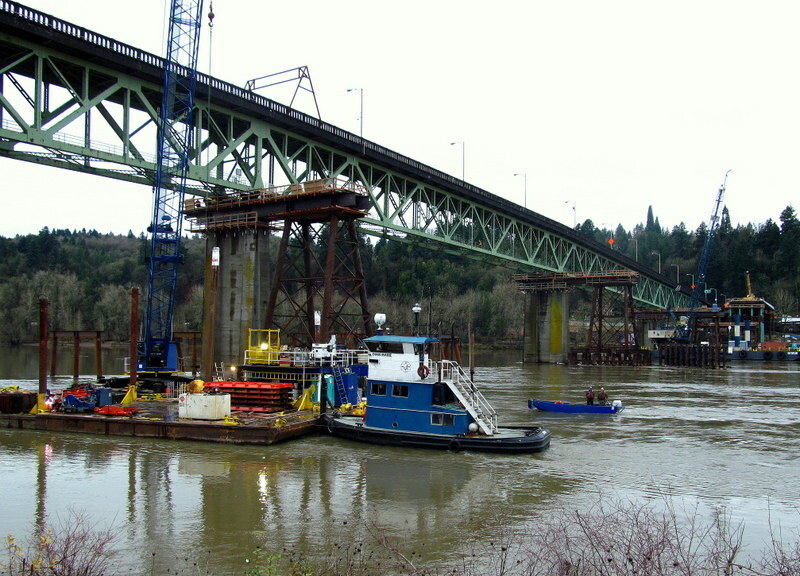 The best way to look at the draft EIS will be to go through the project website (www.sellwoodbridge.org). Newsletters and other public notices will go out in advance of the public comment period. 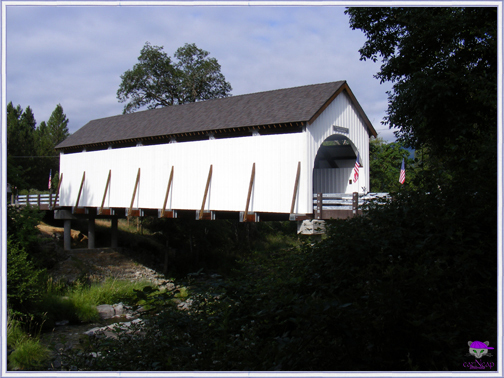 This entry was posted in Spanning the Bridges on July 22, 2008 by golinielcomblog.